West Surrey Racing’s Rob Collard battled his way to the overall Dunlop #ForeverForward crown, hammering home his reputation of being up there with the hardest of chargers come race day in the Dunlop MSA British Touring Car Championship. Dunlop’s overtaking league table focuses on the battles throughout the field, the fightbacks from adversity, and the determination of the finest touring car drivers in the world. One point is awarded for every place gained across each of the 30 races, and at the end of the year, the driver with the highest number of points will be presented with Dunlop’s award. Tom Ingram took the final weekend honours of the year at Brands Hatch GP to make it 10 different winners from 10 events this season, indicative of the sheer level of competition seen in the 2016 BTCC. His qualifying record, the leading average barring his exclusion from the session at Brands a fortnight ago, has meant that Ingram has rarely had to clamber through the pack. In fact, he received nearly half of his annual points at the final weekend of the season. Collard held onto a 30-point advantage over Handy Motorsport’s Rob Austin heading into the Kent finale – his eventual 150-point tally was enough for the coveted crown. So, aside from Collard, who’s been an overtaking star in 2016? Kicking off the season, Rob Austin, on his front-wheel-drive debut, made short work of his rivals to gain 16 places in race two, finishing in 14th spot all the way up from 30th on the grid. Martin Depper made up the single most places in race one at Donington Park, when starting 31st he gained 14 places to finish 17th. The Eurotech Racing man was the only double winner of #ForeverForward honours this year. Thruxton’s race one red flag situation allowed Gordon Shedden to improve by an incredible 19 places, starting 23rd he finished fourth. Jake Hill’s systematic displacement of his rivals at Oulton Park gained him 17 places, a result matched by Adam Morgan in the following round in Croft’s race three. At Knockhill Andrew Jordan put his qualifying woes behind him to scythe through from 31st to 14th, also gaining 17 places along the way in race one. 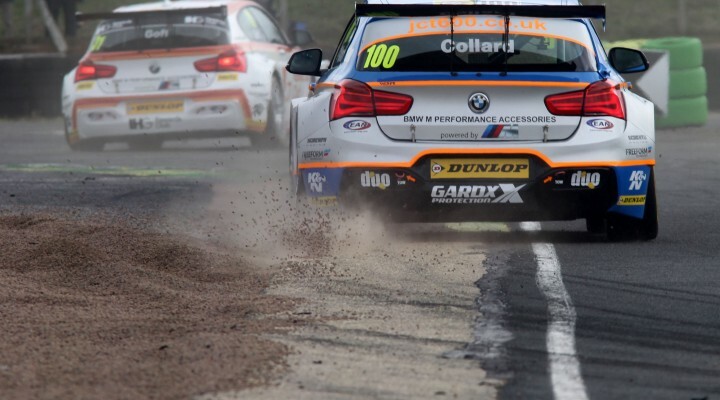 Sam Tordoff moved up 18 places in Rockingham’s opening race, coming through from 28th to tenth. At Silverstone, Colin Turkington amassed a staggering 21 places largely due to his race one penalty that saw him claw his way through the field from 29th to eighth. In the teams’ standings, it was WSR who led the way, encompassing drivers’ winner Collard and stablemates Jack Goff and Sam Tordoff. Eurotech Racing proved it harbours competitive machinery, excelling come race day, with Jeff Smith finishing third in the drivers’ running and Depper featuring strongly throughout the season.